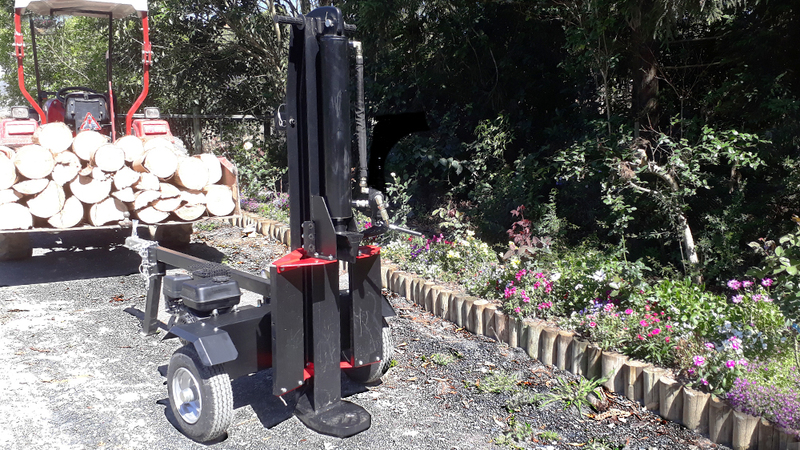 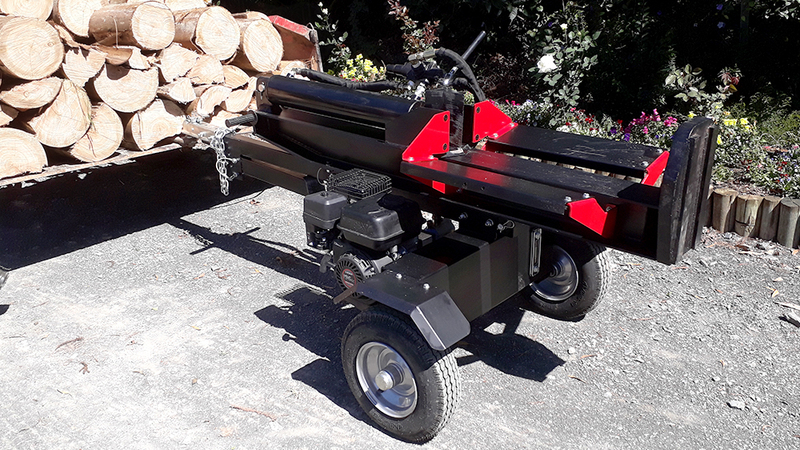 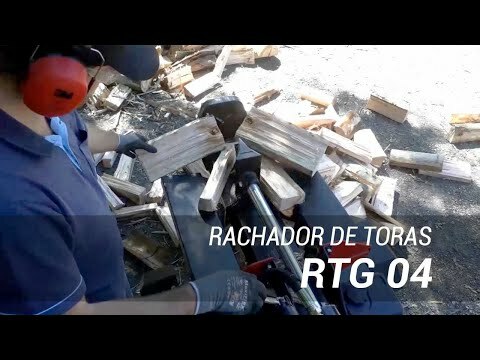 Gas-powered Log Splitter RTG 04 Mobile wood splitter can be towed by the rear hitch of your vehicle, powered by a gasoline engine, applying the power 22T on the log. 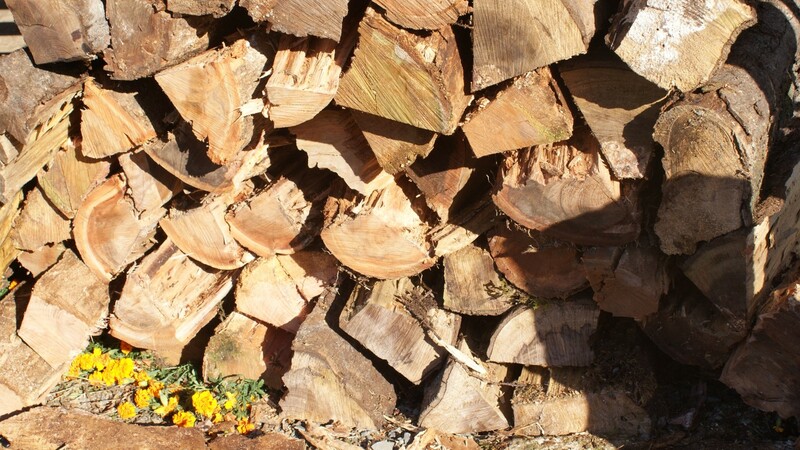 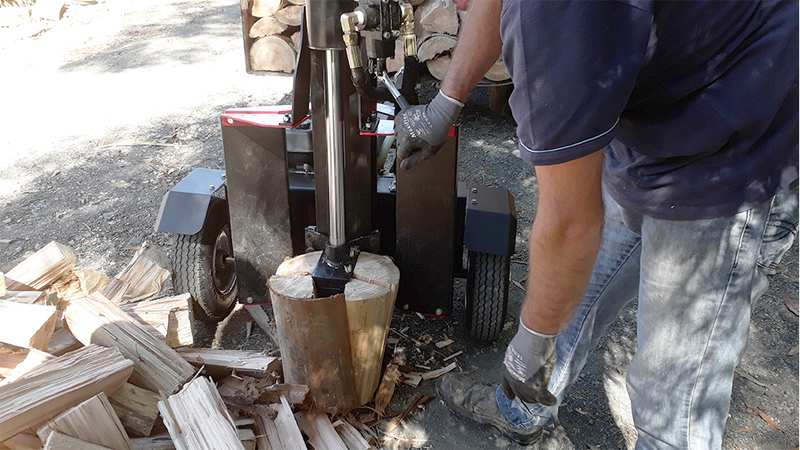 The log splitter has the ability to split logs up to 450mm in diameter and 750 in length. 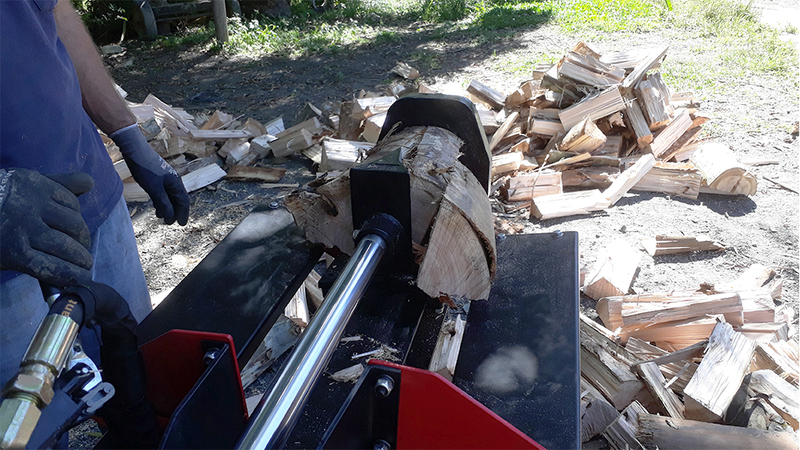 Making it ideal for farms, residences, hotels, among others. 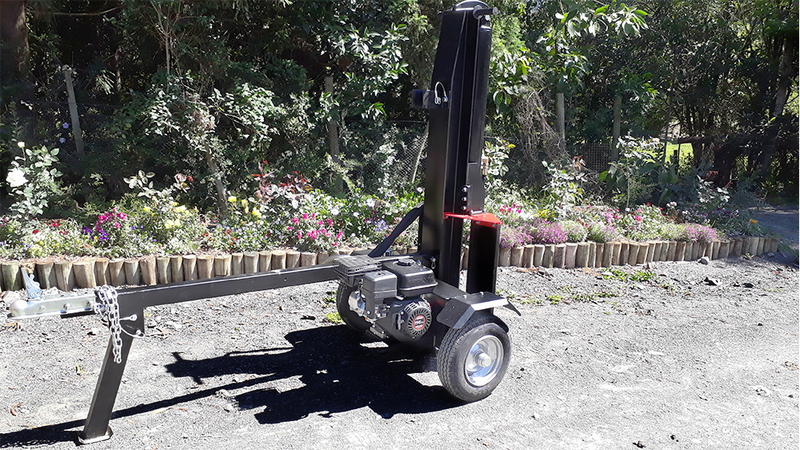 The RTG 04 can be coupled to the rear hitch of your vehicle, providing greater mobility and flexibility to transport the equipment to its workplace. 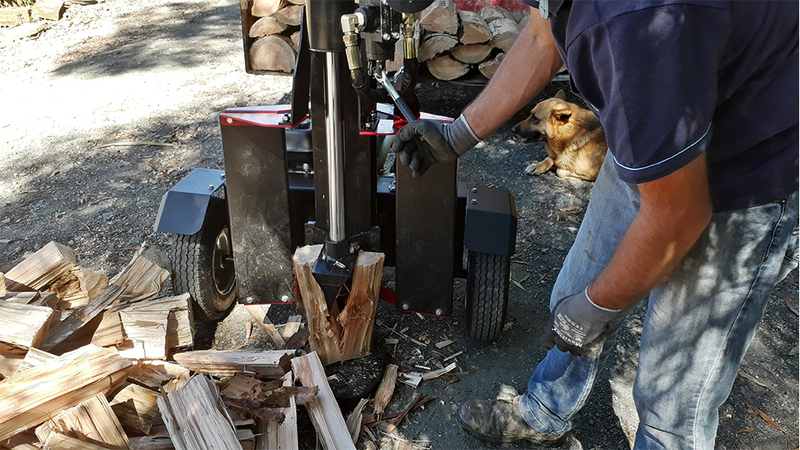 This splitter model is the only adjustable, as it can be used both vertically and horizontally, creating greater comfort for the machine operator. 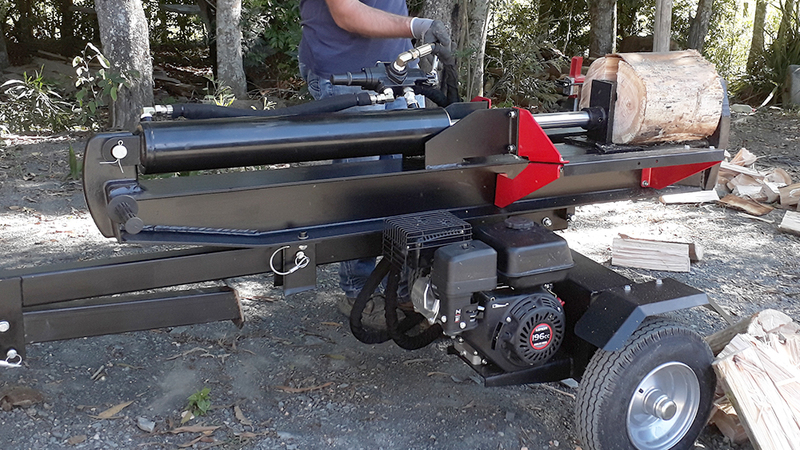 The splitter has a cutting wedge which slides on guides welded directly on the frame of the splitter. 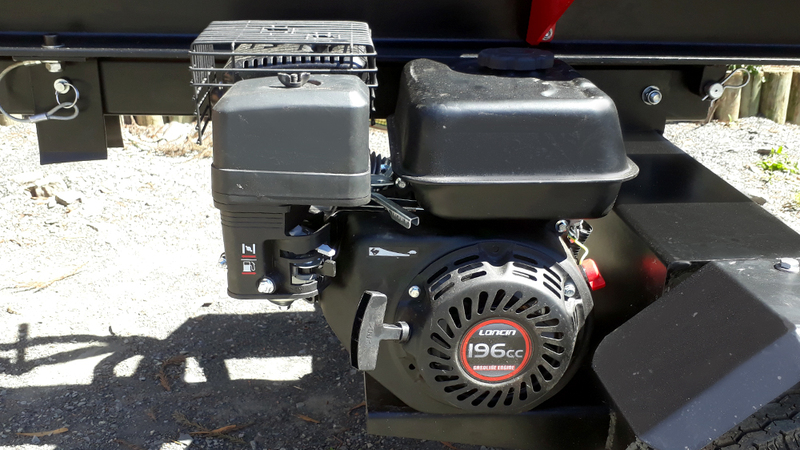 This wedge is driven by a gasoline engine with 22 tons of power. 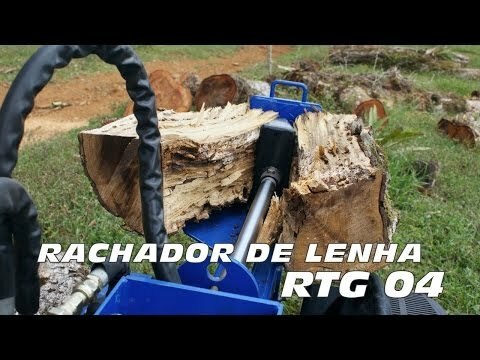 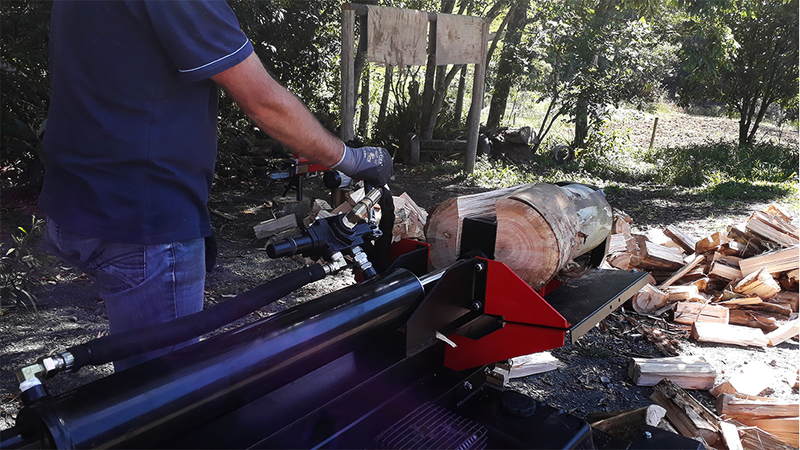 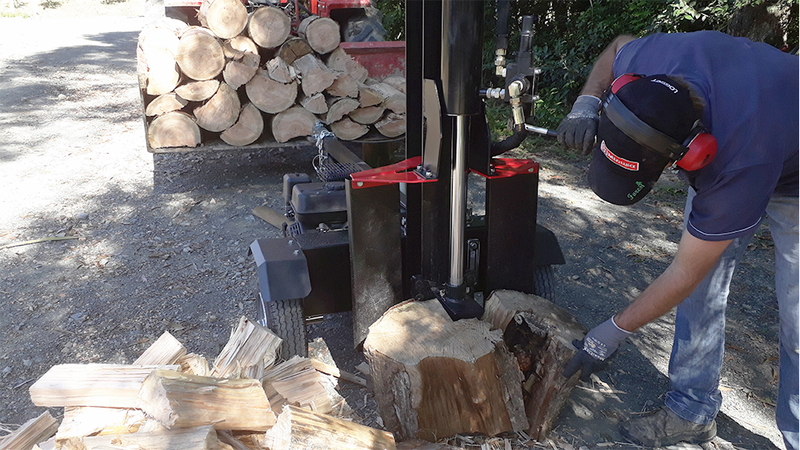 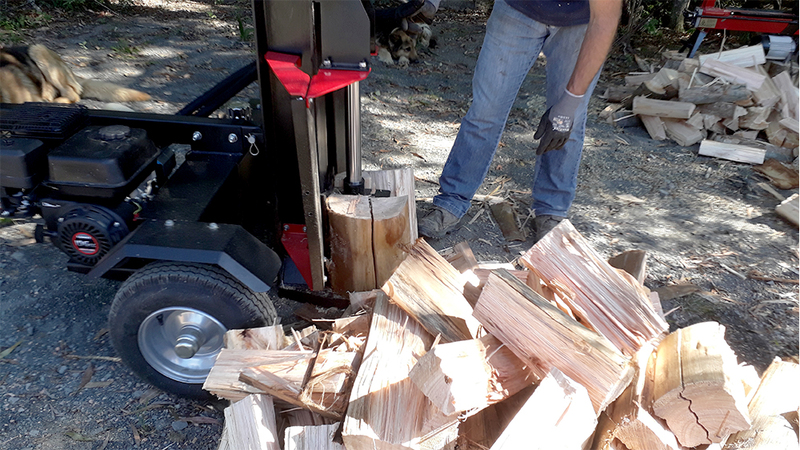 The command that triggers the splitter is performed through two levers, which are located next to the log splitter frame, keeping your hands away from the trunk during machine operation.